Our aim was, in company with Airborne, to get to Nykoping around the 29th June. 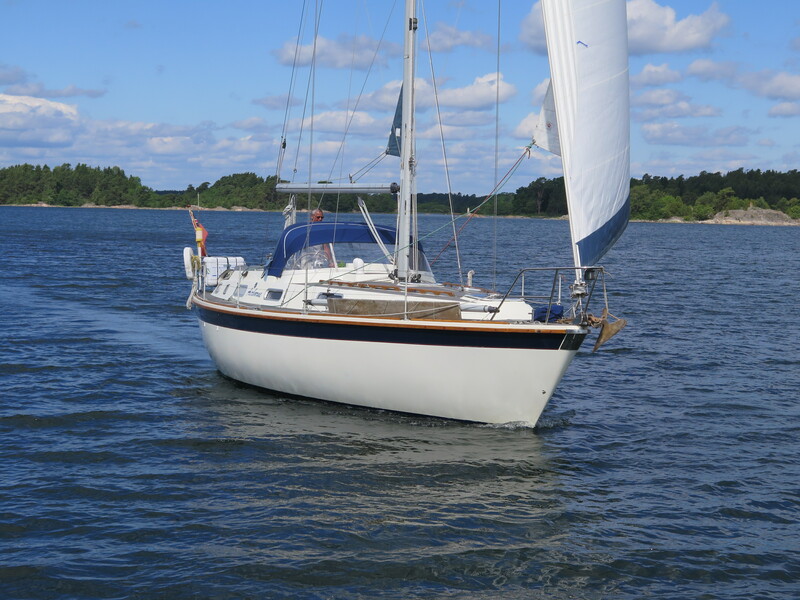 So, having come quite a distance north in the last few days, today we just did 15.5 miles up to Harstena. We left Boko just after 10am and had a lovely sail nearly all the way to Harstena. Once again, the pilotage was ‘interesting’ – you certainly need to keep concentrating all the time! The route in to the anchorage takes you through yet another narrow gap between rocks (I am still not getting used to going through these gaps with rocks close either side!) 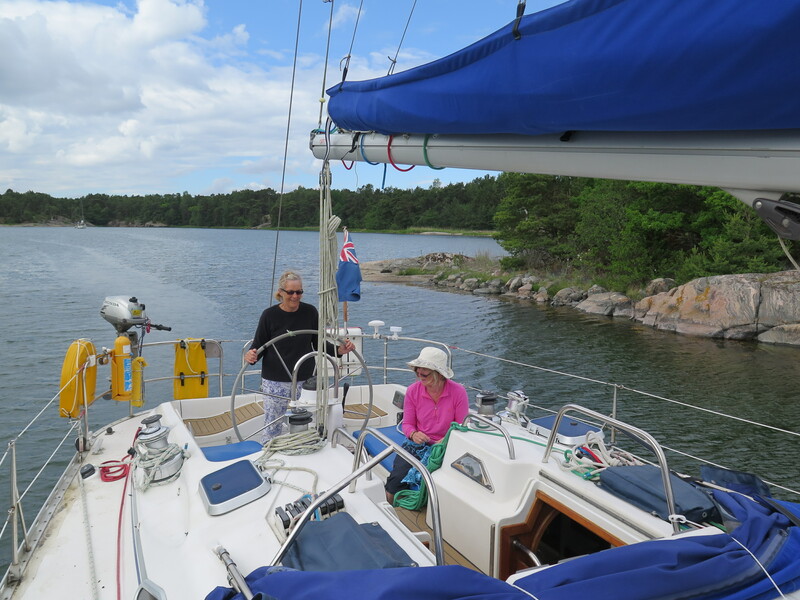 and then opens up into a lovely bay with space for quite a number of yachts to anchor and also a few spaces for mooring to the rocks – Swedish style – something we haven’t tried yet, though I have discovered that there are a couple of ‘pitons’ in the anchor locker if we fancy this. We got there and needed a little shopping, so the others rowed ashore and walked across the island to the local shop and bakery. 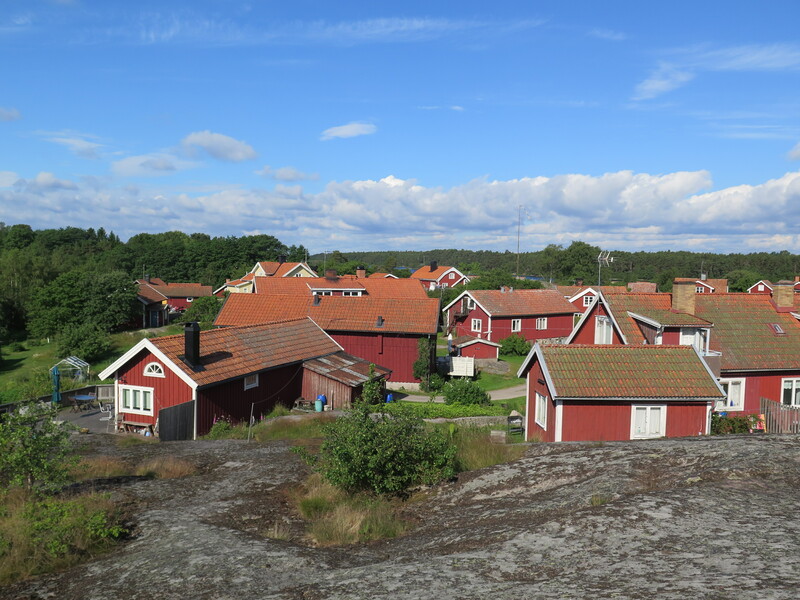 These are only open for a couple of months each summer, as, like most places, this is essentially a holiday resort – packed with second homes. I stayed aboard as it had taken two goes to set the anchor properly, so just wanted to check it had held completely.